Good grief--like this is intelligent, or what? As I broke a toe severely, and am housebound more than less, I have twenty-five posts for August already. Please take time to read these. When my foot is better, I shall be out and about. Enjoy. Well, I have a disgruntled reader who challenged me as to how I can determine whether a Mass is invalid or not. This is not rocket science. Firstly, there is a difference between invalid and illicit as terms. The Eucharist, which is a sacrament, is what is valid or invalid. The Mass can be licit or illicit. Let me quickly run through both types of definitions. 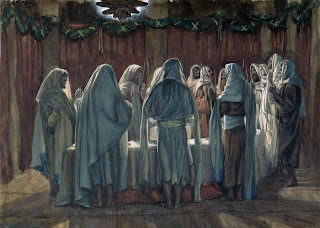 A Sacrament of the Eucharist is invalid when: 1) the priest is not validly ordained-invalid orders or no orders, like women priests and Anglican priests; 2) the words of Consecration are changed or when the hosts and wine are not consecrated at the same time-invalid form; 3) the intention of the priest is to separate from Rome or his intention is not to obey Rome in matters of the Eucharist; that is, he does not believe in Transubstantiation or he has purposefully separated from Rome, as with the Anglicans-invalid intent; 4) invalid matter-not bread and wine, but rice cakes and grape juice for example. 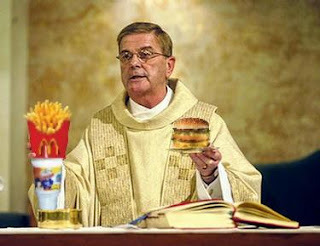 The Mass is illicit, that is illegal, 1) when the priest does not following the rubrics for the Mass; 2) when the place of the Mass is not canonical-such as on a beach or at a picnic (or in a home without permission of a bishop); 3) when the priest does not have faculties to say Mass or is suspended. There may be more reasons. There are also rules against ceramic altar ware. No pita bread or honey breads. It is easy, when attending a Mass and when one is listening carefully, to determine if the Mass is illicit and the Sacrament invalid. All parents should be aware of these rules and act on them accordingly. This is not hard to do. 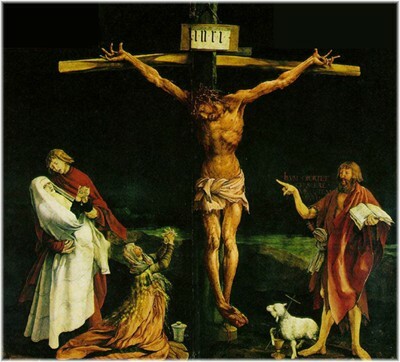 This is a little mini-series, as you have seen in the past few days, on the great encyclical Mystici Corporis Christi and the CDF Declaration Domininus Iesus. 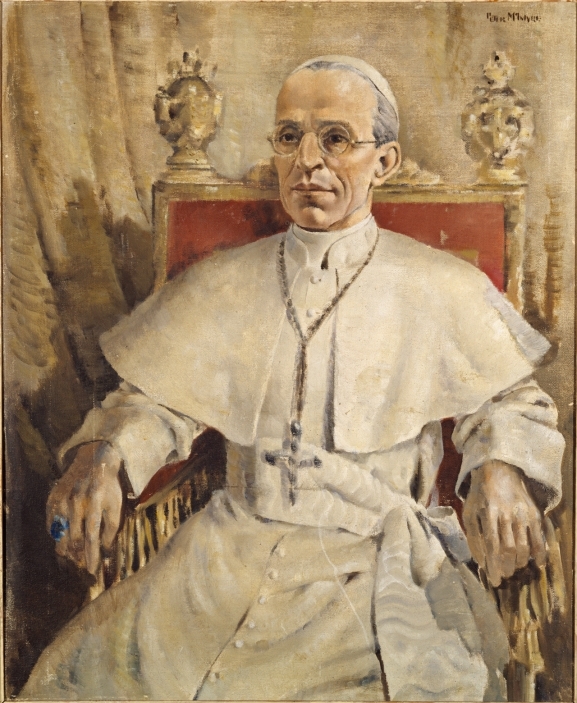 How fortunate Catholics have been in the leaders of our church for almost 200 years. Here is a quotation from the first document mentioned: 87. No less far from the truth is the dangerous error of those who endeavor to deduce from the mysterious union of us all with Christ a certain unhealthy quietism. They would attribute the whole spiritual life of Christians and their progress in virtue exclusively to the action of the Divine Spirit, setting aside and neglecting the collaboration which is due from us. No one, of course, can deny that the Holy spirit of Jesus Christ is the one source of whatever supernatural powers enters into the Church and its members. For "The Lord will give grace and glory" as the Psalmist says. But that men should persevere constantly in their good works, that they should advance eagerly in grace and virtue, that they should strive earnestly to reach the heights of Christian perfection and at the same time to the best of their power should stimulate others to attain the same goal, - all this the heavenly Spirit does not will to effect unless they contribute their daily share of zealous activity. "For divine favors are conferred not on those who sleep, but on those who watch," as St. Ambrose says. For if in our mortal body the members are strengthened and grow through continued exercise, much more truly can this be said of the social Body of Jesus Christ in which each individual member retains his own personal freedom, responsibility, and principles of conduct. For that reason he who said: "I live, now not I, but Christ liveth in me" did not at the same time hesitate to assert: "His (God's) grace in me has not been void, but I have labored more abundantly than all they: yet not I, but the grace of God with me." It is perfectly clear, therefore, that in these false doctrines the mystery which we are considering is not directed to the spiritual advancement of the faithful but is turned to their deplorable ruin. 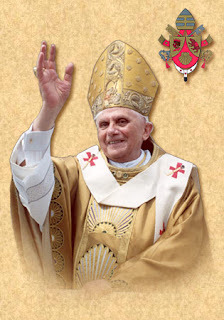 We are the Church Militant, as Pope Benedict XVI also reminds us. We cannot get complacent. We cannot fall asleep and enter into a comatose state of pretending everything will be just fine. I wrote on Quietism months ago and you can enter that search in the box at the side here. That the Pope warns us against this is a loud call to all. If we are not with the Lord, we are against the Lord. How do we persevere? BY STAYING IN THE CHURCH. Side with Rome and you will be safe.Those who follow Peter will not be abandoned. But, if we abandon the Bride of Christ, we are open ourselves to deceit and self-deceit. I cannot trust someone fully on matters of religion unless they speak with the authority of the Church. Please beware of false teachers. One more snippet. There are many Catholics who do not want to offend the Islamic people and do not want to emphasize Christ. This is not only false, but dangerous thinking. Christ, the Second Person of the Blessed Trinity saved us by His Passion and Death, and through the Resurrection, He gives us new life. If we deny Him, we have left His protection. I share these as a reminder. It is not licit for the faithful “to take . . . by themselves . . . and, still less, to hand . . . from one to another” the sacred host or the sacred chalice. Moreover, in this regard, the abuse is to be set aside whereby spouses administer Holy Communion to each other at a Nuptial Mass. The communicant must not be permitted to intinct the host himself in the chalice, nor to receive the intincted host in the hand. As for the host to be used for the intinction, it should be made of valid matter, also consecrated; it is altogether forbidden to use non-consecrated bread or other matter. 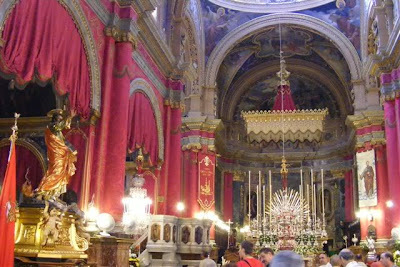 According to the structure of each church building and in accordance with legitimate local customs, the Most Holy Sacrament is to be reserved in a tabernacle in a part of the church that is noble, prominent, readily visible, and adorned in a dignified manner” and furthermore “suitable for prayer” by reason of the quietness of the location, the space available in front of the tabernacle, and also the supply of benches or seats and kneelers. In addition, diligent attention should be paid to all the prescriptions of the liturgical books and to the norm of law, especially as regards the avoidance of the danger of profanation. Apart from the prescriptions of canon 934 § 1, it is forbidden to reserve the Blessed Sacrament in a place that is not subject in a secure way to the authority of the diocesan Bishop, or where there is a danger of profanation. Where such is the case, the diocesan Bishop should immediately revoke any permission for reservation of the Euchari­st that may already have been granted. No one may carry the Most Holy Eucharist to his or her home, or to any other place contrary to the norm of law. It should also be borne in mind that removing or retaining the consecrated species for a sacrilegious purpose or casting them away are graviora delicta, the absolution of which is reserved to the Congregation for the Doctrine of the Faith. When will the clapping stop? It happens all the time. I cannot understand the need and the continuation of clapping during or even after Mass. 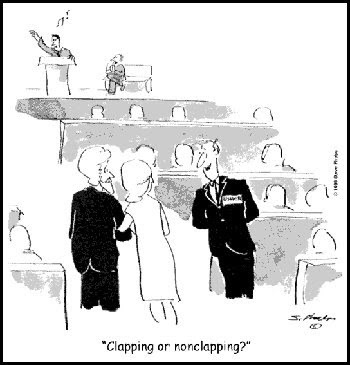 I cannot understand clapping for people in the pew, the organist, the choir, the newly baptized adult, or mothers on Mother's Day. It just happened again almost weekly this summer in a Church I was visiting in the south of England and in a Church in Ireland. Even if it is rare, it should not happen at all. We should not be drawing attention to ourselves at Mass. Please, no clapping...And, the clapping at weddings is just too much...when did this start? Returning to the document on vocations, one sees a development of necessity in the wording. It is clear that the Vatican wants to intimate relationship of Christ and the man called to be the real formation of the seminarian. This is not merely a psychological or physical formation, but a deeply spiritual one. 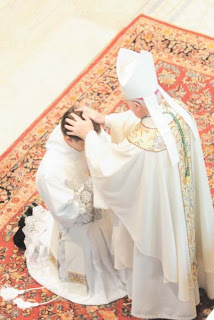 For this reason it is directed, in the first instance, to developing the whole person and, in the context of a profound communitarian experience, aims at preparing those ‘called’ for priesthood, helping them be conformed to Christ the Shepherd. Whoever is called should be placed in the condition of living an intimate relationship of love with the Father who calls him, with the Son who conforms him, with the Spirit who shapes him through training in prayer, listening to the Word, participation in the Eucharist and silent adoration. 1 Pastores dabo vobis, n. 11: AAS 84 (1992), 674. 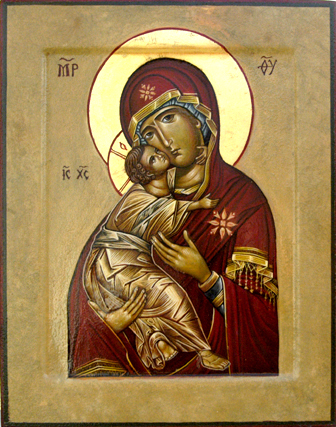 Certainly, it is important to call trustingly and persistently upon the Virgin Mary, Mother of Priests, for help in welcoming with openness God’s plan for our lives. We ask her help to respond ‘yes’, with faith and love, to the Lord who always calls new labourers to spread the Kingdom of God. The document continues with a review of Vatican, diocesan and parish involvement in the encouraging of vocations. There is also a note on catechists and teachers. I do not think enough work is being done in this regard. Another huge factor in the fostering of vocations is spiritual direction. The lack of good spiritual directors is a huge problem in the Church today. Spiritual direction is a privileged form of discernment and of vocational accompaniment. 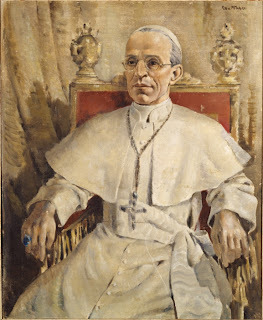 What is asked of priests is a sincere openness to listening and dialogue, the capacity to raise and reply to the fundamental questions of existence, a great deal of wisdom in dealing with the questions inherent in life-choices and in the vocation to priestly ministry. St. John's Gospel is full of details. One of the things quickly missed in the passage I have been looking at all week on the Feeding of the Five Thousand, is that the miracle occurred at Passover. Now, John has more than one Passover mentioned in his Gospel. He is very aware of the Passover, and Christ as the Bread of Life, the fulfillment of the Old Covenant with the New. That these people were following Christ at Passover Time is very important. They would have had to stop or at least interrupt their preparations in order to listen to Jesus. Some may have seen the significance of the Feeding happening on the Feast of the Unleavened Bread. God has no accidents, as we say-only God-events. 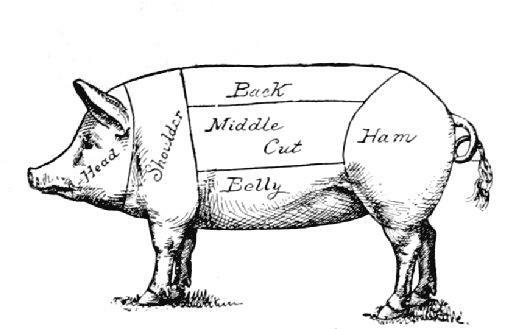 Christ was showing all the Jews that He was doing something new with the Passover Feast. A new commandment, a new rule was beginning. The Pharisees and Sadducees "got it", which is why they were angry and jealous. Christ is claiming to be God through the Feeding of the Five Thousand. He is claiming that His miracle is greater than that of the Passover-in fact, His Passion and Death form the New Passover-the Angel of Death passes over us as we are saved by the Blood of the Lamb of God. Only, this time, our sins are taken away and we get access to heaven and God in the Beatific Vision. There just are not enough hours in the day to read and re-read this passage and learn all there is to know from the Word of God. The Bloody Sacrifice becomes the Unbloody Sacrifice of the Mass. 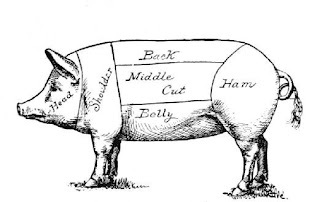 St. John knew all of this and this is why he makes the effort to remind us of the Passover. 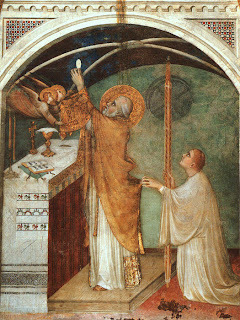 The Feeding of the Five Thousand points to the Eucharist, the re-enactment of Calvary. Jesus, the Lamb of God Who takes away the sins of the world, gives us Himself in His Body and Blood. We can never be too grateful for this Gift. Many posts today...have a great First Friday. Father Z., Father Ripperger and others have repeated the phrase lex orandi, lex credendi. This phrase means several things, including how we pray is how we believe. Or, how we believe is how we pray. But, these priests take the phrase a step further. The belief of the Church can be changed by the liturgy. Some people do not understand what this means. If one continually goes to the Tridentine Mass, one's Faith will change. Those who are there participating at the TLM already have their Faith in keeping with the Church. They have accepted Tradition in Teaching and in Liturgy. Those who come new will have their Faith change, as they will accept the patrimony of the Church. This is the duty of parents, the prime duty of parents. To be holy, to be reverent, to pass on the Tradition of the Church is all of our duties. However, Father Z., Father Ripperger and others go further in this description of the impact of the Traditional Latin Mass. The phrase I want to use in describing their view is "Catholic kulturkampf". The reason why two generations of evangelization has failed for the most part is that the culture WAS being changed by the Mass, but this is no longer happening with the Novus Ordo. Why? And, what can we do about it? Father Ripperger states that the culture was being created and renewed by the TLM. When the interruption of tradition took place, that is, when the NO was promulgated, the liturgy merely became a mirror of the secular and even sinful culture, while the Transcendent TLM had changed it and renewed it over and over. I am studying how the TLM affected the Oxford Movement and the Anglo-Catholics in England. The culture was changed! I believe this and we see the fruits in the Ordinariate. However, the point of Father Ripperger and others is that when the NO merely represents the music, styles, and culture of a given society, the Mass no longer can change and renew that society. How we worship is how we think and believe. Many of those commenting on my posts on modesty and androgynous clothes were raised under the NO. They were raised not in a counter cultural movement, the "Catholic kulturkampf" but merely allowed to continue to be influenced by barbarism and sin. 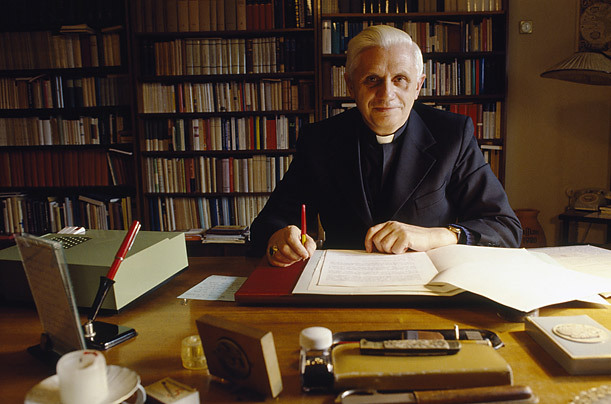 Many of those commenting on the fact that remaining single is merely non-commitment and a relinquishing of duty (and of course for those who were following this, I do not mean those who have consecrated themselves to an order, and Opus Dei is one despite the arguments one gets) do not realize that they have been brainwashed by the secular culture of death. More and more, we need "Catholic kulturkampf". It was there. We lost it. Let it happen again. The number of true churches are few. There is more, but that is all I want to highlight at this point. One can only speak of the Church with regard to the One, Holy, Catholic and Apostolic Church. And, beware of teachers who keep referring to "Church" without the "the". And as a reminder, all who are saved, are saved through the merits of the Catholic Church. As the text states, the Church is necessary for salvation. Hopefully, as some have asked for this, I can return to both the discussion on the priesthood from the document quoted below and to the perfection series. But, I want to finish the mini-series on the Body of Christ and the Church. One must look at Christ in relationship to the Church. Looking at Dominus Iesus, which is one of the most important Declarations to come out of the CDF in the past fifteen years, one sees a clear teaching on religions. Since the proliferation of New Age religions and the relativism which makes people accept false as true, many people in the Church have been confused. I have the link on the side bar. The very beginning of this declaration points out that we cannot be relativistic about our Faith. We are commanded, all of us, to evangelize in some way, where we find ourselves daily. The Lord Jesus, before ascending into heaven, commanded his disciples to proclaim the Gospel to the whole world and to baptize all nations: “Go into the whole world and proclaim the Gospel to every creature. He who believes and is baptized will be saved; he who does not believe will be condemned” (Mk 16:15-16); “All power in heaven and on earth has been given to me. Go therefore and teach all nations, baptizing them in the name of the Father, and of the Son, and of the Holy Spirit, teaching them to observe all that I have commanded you. And behold, I am with you always, until the end of the world” (Mt28:18-20; cf. Lk 24:46-48; Jn 17:18,20,21; Acts 1:8). The Church's universal mission is born from the command of Jesus Christ and is fulfilled in the course of the centuries in the proclamation of the mystery of God, Father, Son, and Holy Spirit, and the mystery of the incarnation of the Son, as saving event for all humanity. This is a lost teaching, even after Blessed John Paul II's all to the new evangelization. I underline the quotation so as to emphasize the importance of this call for all Catholics. When parents complain to me that the nuns and priests and other laity did not evangelize their children in Catholic schools, I tell them it is their call to do this. There is no distinction between the Jesus of History and the Christ of Faith. Jesus Christ made no errors because He was a first century Jew. He is Perfect God and Man. He created the culture and the society of the Jewish religion through the Revelation of the Father, the Son and the Holy Spirit. Christ is the fulfillment of the prophecies of the Old Testament and His covenant is the New Testament, the New Covenant. Christ did not, for example, get rid of the Ten Commandments. The Church's Magisterium, faithful to divine revelation, reasserts that Jesus Christ is the mediator and the universal redeemer: “The Word of God, through whom all things were made, was made flesh, so that as perfect man he could save all men and sum up all things in himself. The Lord...is he whom the Father raised from the dead, exalted and placed at his right hand, constituting him judge of the living and the dead”.34 This salvific mediation implies also the unicity of the redemptive sacrifice of Christ, eternal high priest (cf. Heb6:20; 9:11; 10:12-14). I love this document and will look at it again later. God bless you all.